I guess I'll start with my Bianchi and new acquisition: the pink Colnago! Your turn...DD, BG, Retrofit...let's get this ball rolling! Drillium dropouts, you dog! That's a killer frame. I can't wait to see it with 2011 SR. What wheels you planning on? I'm going with record hubs, butted DT swiss spokes and silver Mavic OPs. I ended up ordering, based on BBM, OFG and Gomango, Veloflex tires...these insane 350 TPI foldables. They weight something absurd, like 180 grams. They'll probably last 200 miles tops, but it'll be a fun 200 miles! 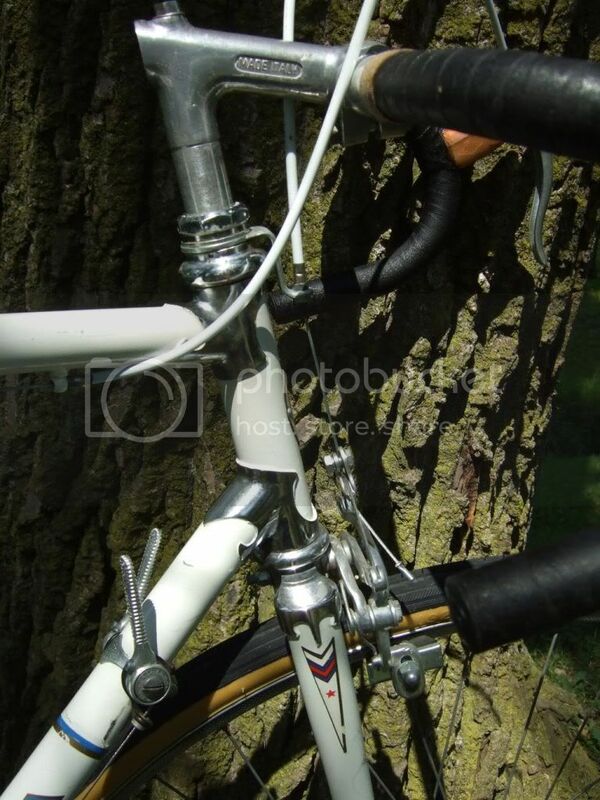 Cinelli 62-42s, Cinelli XA-1, a really cool seatpost courtesy of OFG...Campagnolo non-aero c-record...and a white regal. Black Cinelli cork. I'm currently shopping water bottles and that's the finishing touch! 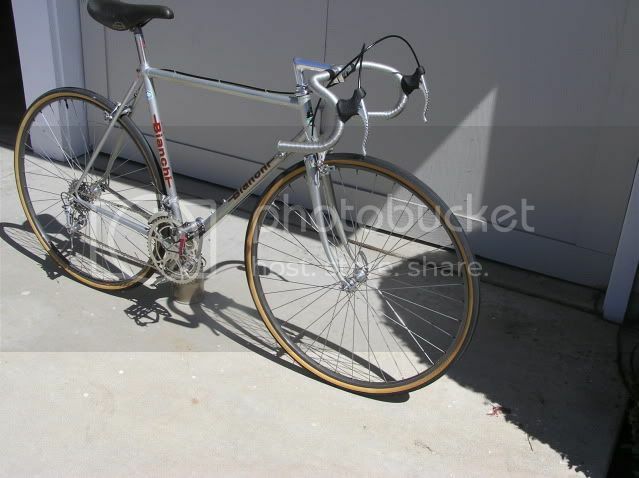 I managed to keep it almost all %100 Italian...the rims and spokes are the exception. The bag is now red. 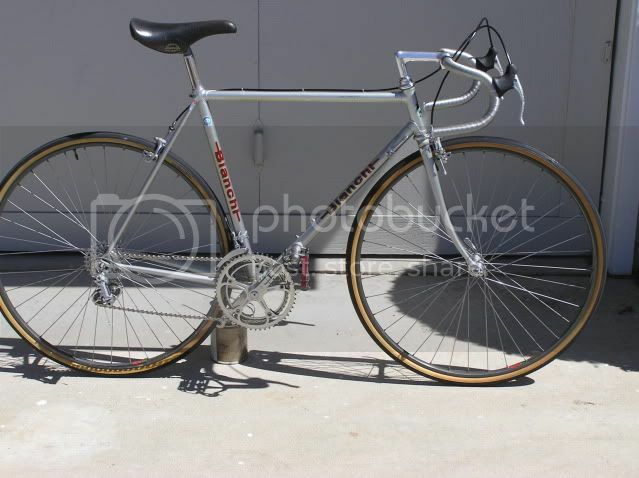 Six bikes/framesets posted and I want all of them. We are rebuilding this one tomorrow. Yes, I finally found a red Regal. Maybe I'll add it to this bike tomorrow. Few additional DA items as well. Super nice NOS DA seatpost in a gift wrapped box from a forum member two years ago. They never owned up to sending it to me. I'm finally going to use it. Thanks again whoever you are. 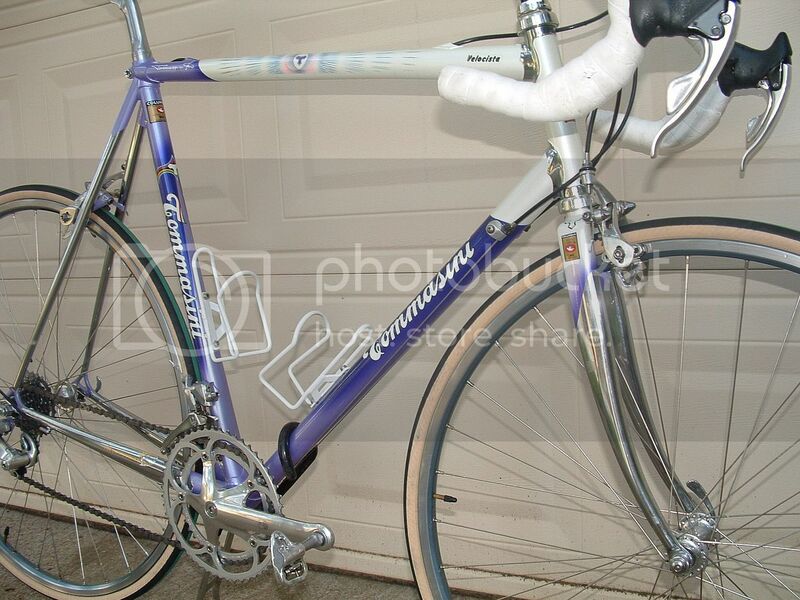 Ohh a chance to post a pic of my Tommasini again. I need to take some new pics. 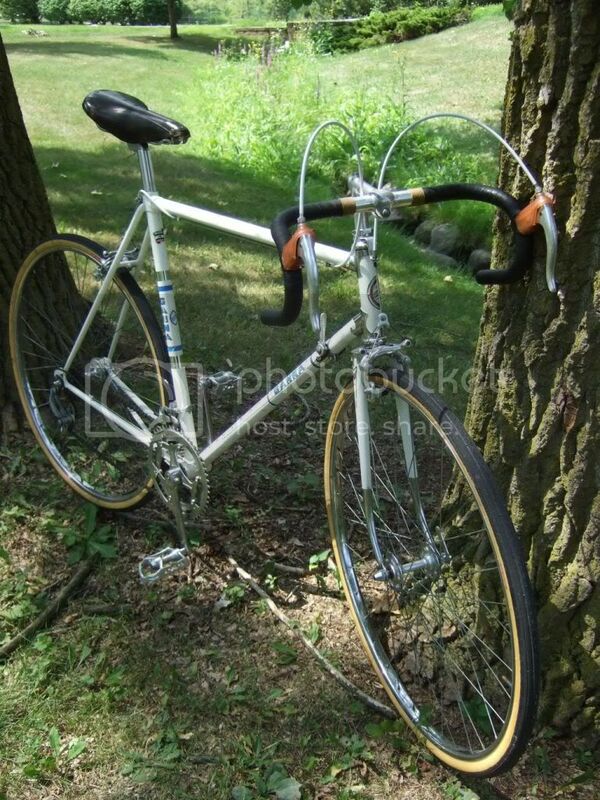 I've now got a white Regal saddle, new stem and Noddle bars and new tires on her now. Wow! Another opportunity to post my Ganna! I have posted it here before, but I guess once more can't hurt. 1978 Sabatini "Record". I managed to carefully pull of the stainless steel chain stay protector that was on there since the late '80's without damaging the "Record" decal underneath it recently. It definitely looks better without it even with some chipped paint I had covered over. And like myself, anyone else here with one they have owned since new? 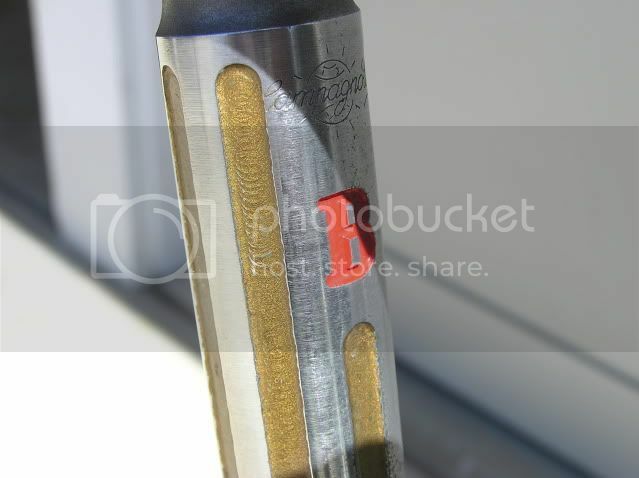 Last edited by VintageRide; 12-17-10 at 10:18 PM. 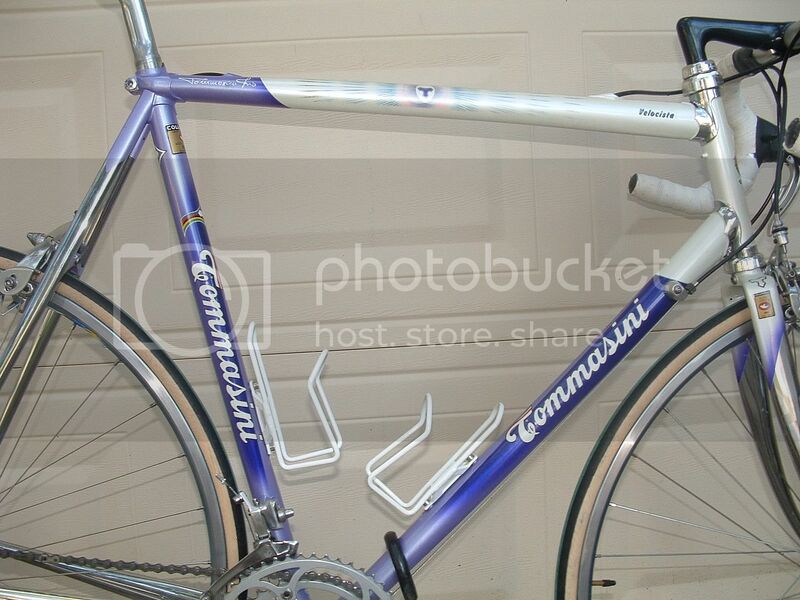 That gorgeous '80-'81 Reparto frame needs more Italian parts! A 3ttt Superleggera would be nice as well, the Turbo is not up to snuff for that frame. Last edited by Citoyen du Monde; 12-17-10 at 10:16 PM. What would you replace the turbo with? I like that one quite a bit as well. Last edited by stien; 12-17-10 at 10:19 PM. Yes, the frame is a 80-81 Reparto. 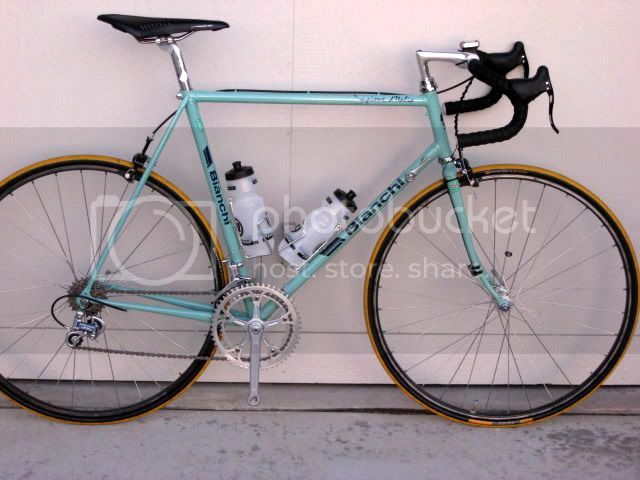 Could have been sold as a Super Corsa, Super Leggera, or Specialissima. 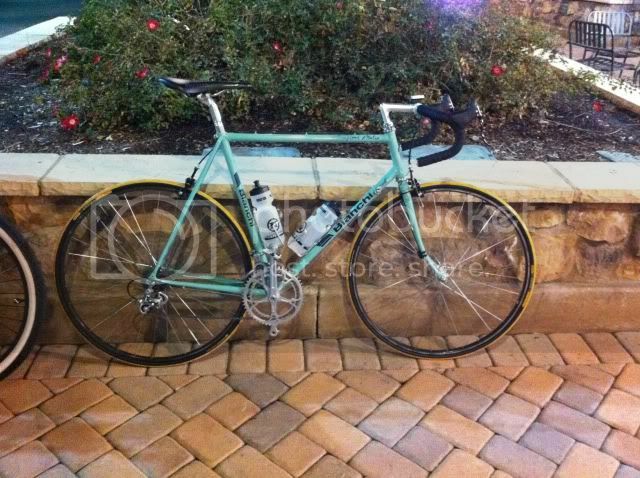 The last of the really great Bianchi's. We'll get our chances for plenty of rides next summer. You only live in Des Moines for goodness sakes. I routinely go on Rainbow trout flyfishing adventures near Lanesboro, so I'll drag a bike along and we can ride through some of the nicest rolling hills in the state. In fact, you might want to consider joining our group when you are in the Twin Cities. Nice guys, and lots of bikes to look at that I can't afford. By the way, CDM's Masi above is perfect. Ah-I see. Thanks for the confirmation of the origins of the frame. As for the rest of the parts, we'll see when I get out of college. I'm pretty content with it as-is because it's a rider not a show queen. One of my all-time favorites! I know very little about the brand, other than a tidbit here or there. 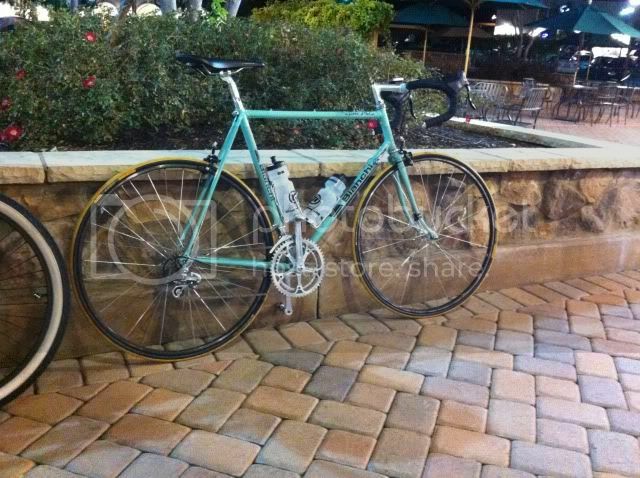 The color of your bike has me really thinking about a custom project I am starting after the first of the year. I recently purchased a NOS, unpainted frameset, and I am working on the "vision" at the moment. I'll give forum members an opportunity for lots of input (hopefully) in January. 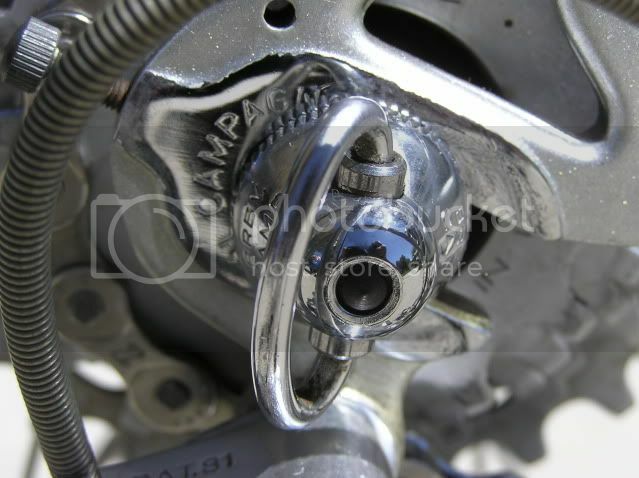 Also I'm pretty sure the bike will see 11 speed alloy Centuar before it sees 100% originality haha.